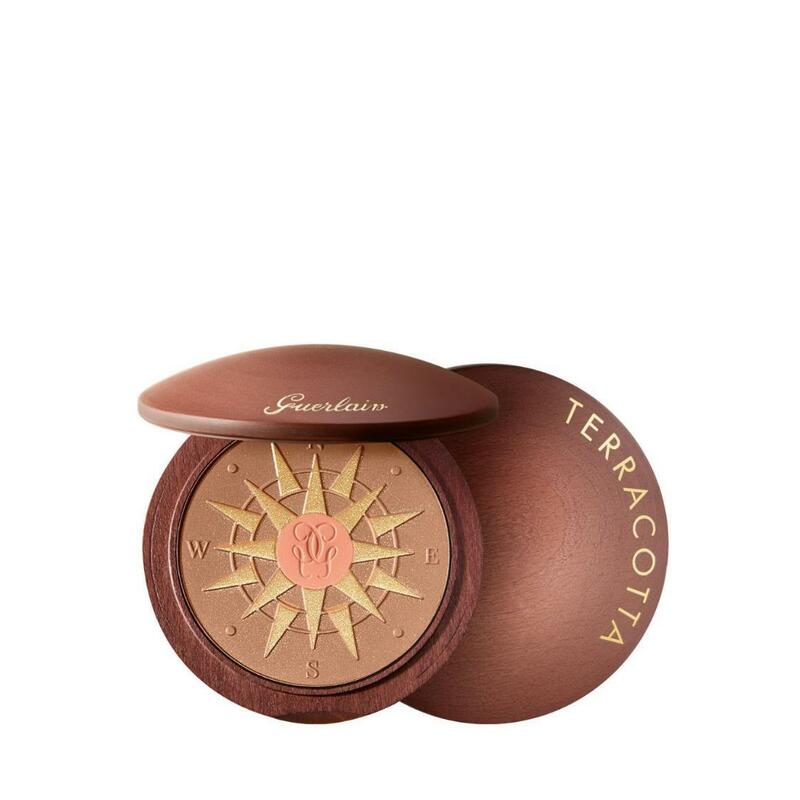 Guerlain Terracotta powder, the reference in bronzing powders, is available in a limited edition - Terracotta Route des Îles. The luxurious, environmentally sound wooden pack (using wood from PEFC approved sustainably managed forests) contains a wide mirror and a two-tone powder block: the combination of the best-selling Terracotta shade 03, subtly iridescent, which naturally warms all complexions, and the it-colour for summer, a slight gold shimmer apricot colour, to illuminate the tan. The colours can either be blended together to warm the complexion and enhance the natural radiance of the tan or applied separately to achieve the desired intensity. On the skin, they meld together to form a buildable silky veil, so fine that the result is impeccable and remains so, all day long.